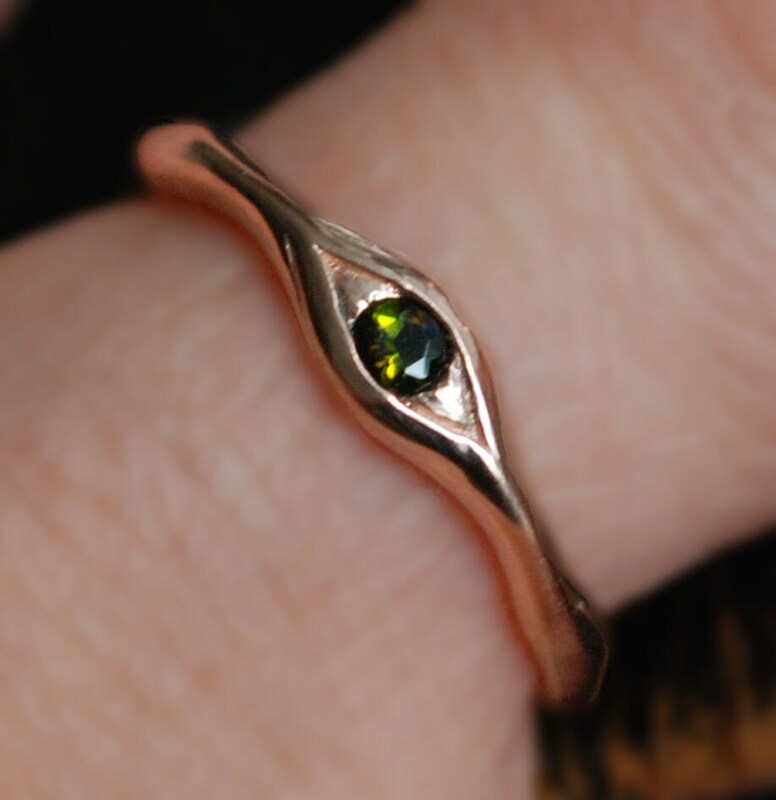 This eye ring is solid cast 10k rose gold set with a 2.5mm faceted green tourmaline. Buffed and burnished to a satiny glow, it is available in a small edition, US sizes 5 - 7.5. 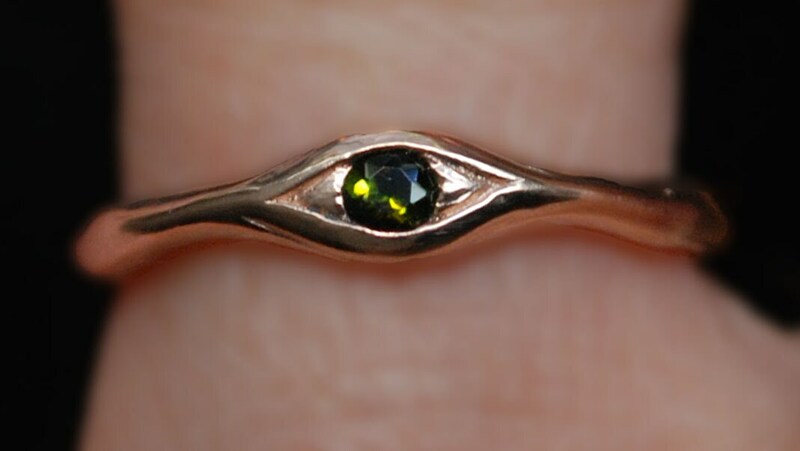 Looks beautiful on it's own but stacks nicely with other rings as well. 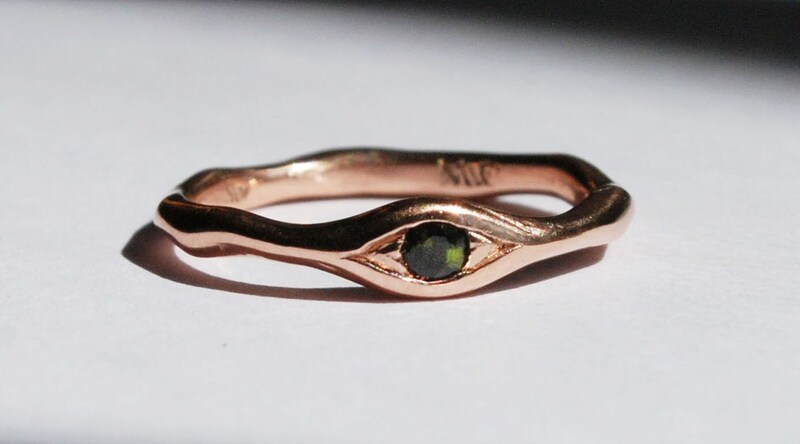 perfect little ring! great seller communication and very fast shipping! have already placed another order with this shop!